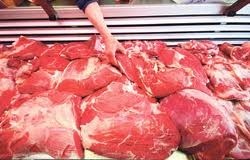 BEEF and sheep meat exports have increased considerably in the first six months of the year, according to figures released by Hybu Cig Cymru (Meat Promotion Wales). During the January to June period, sheep meat exports from the UK increased by six per cent to 41,000 tons while beef exports rose by 39 per cent to 68,000 tons. The increased trade has been fuelled by a fall in production in other parts of the world, notably New Zealand and South America, coupled with a favourable exchange rate and increased marketing activity abroad, said HCC. France remained the number one destination for UK sheep meat, with shipments to Germany on the rise. HCC’s monthly Market Bulletin, which examines worldwide trade patterns, also recorded a 21% decrease in New Zealand shipments during the first six months of the year. Volumes from Argentina, Ireland and Spain were also significantly lower. “These are UK figures, and full year detailed results on the performance of Welsh Lamb and Welsh Beef in the export market will be available early in 2012, but these statistics are very encouraging,” ” said Emma Jones, HCC’s Market Development Executive.